From as little as two to a maximum of eight films, with filmmakers from Hong Kong all the way to Mexico, this list celebrates some of the most significant director/actor collaborations. While this list is by no means exhaustive, here are some of the more well-known partnerships, and some whose number of films together may be small, their impact is immeasurable. One of the best things about watching a Scorsese/De Niro collaboration is imagining the two of them crossing paths in Little Italy as young men. Scorsese and De Niro had mutual friends, and it was Brian De Palma who suggested De Niro for the role of the tempestuous Johnny Boy in Mean Streets (1973). Since then, their partnership has birthed some of the greatest films in American cinema, with Taxi Driver (1976) arriving a mere three years later. As well as earning De Niro hos first of many Oscar nominations, it also earned Scorsese the titular ‘director to watch’ title. After Taxi Driver, Scorsese and De Niro would work together on the musical drama New York, New York (1977), the iconic Raging Bull (1980), the satirical The King of Comedy (1982), the seminal Goodfellas (1990), Scorsese’s first remake Cape Fear (1991), and finally, the sprawling Greek tragedy-esque Casino (1995). We all know that Hitchcock loved his blondes. Grace Kelly, Tippi Hedren and Janet Leigh were amongst the many blonde leading ladies that graced the screen for the Master of Suspense. Like his blondes, Hitchcock also enjoyed working with charismatic leading man Cary Grant. The pair made four films together, with North by Northwest (1959) arguably the most popular. With Grant as leading man, audiences were able to relate to his everyman charm; when his protagonists were in trouble, so were we. And therein lies the appeal of the Hitchcock suspense thriller, which is exacerbated with Grant as the hero. Their other collaborations include Suspicion (1941), Notorious (1946) and To Catch a Thief (1955). As the saying goes, quality over quantity. But can we apply that to filmmaking? By considering the films of Tarantino and Thurman, I would suggest that yes we can! After only three films together, the passionate director and outstanding actress have managed to create two iconic characters. The first being Mia Wallace in Pulp Fiction (1994), whose black, shiny bob hairdo and signature monochrome attire have earned a place in cinema history. Mia’s dance with Vincent (John Travolta) has seeped into the memories of all who have seen it, and 20 years later, the film still packs a punch. Speaking of which, it was during the shooting of Pulp Fiction that Tarantino and Thurman developed the idea for Kill Bill’s The Bride. Her blood-stained wedding dress and yellow jumpsuit would become the uniform of power, skill, and most significantly, revenge. In the spirit of quality over quantity, this partnership is a worthy inclusion in this list. With their first collaboration on Amores perros (2000), audiences were we introduced to the distinctive filmmaking style of González Iñárritu and the charismatic and immense talent of García Bernal. 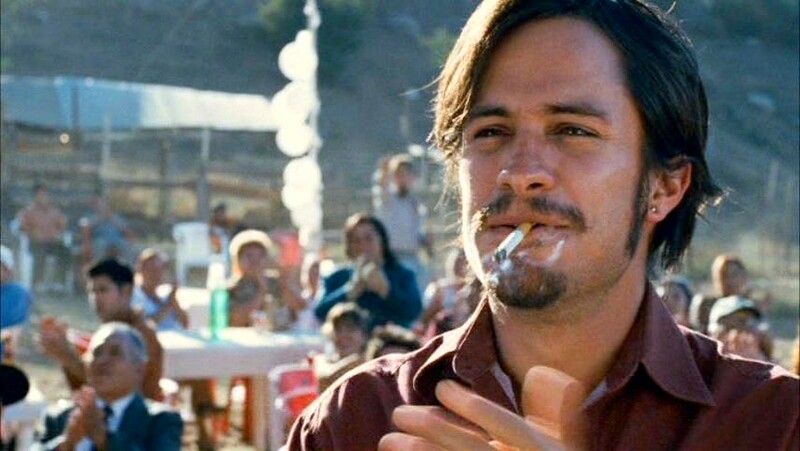 The fragmented, non-chronological format of Amores perros would go on to be mirrored in 21 Grams (2003) and Babel (2006) – the latter of which would also star García Bernal. The ‘trilogy’, whereby each film is divided into three stories that are all connected through one event, explore relationships, love and loyalty, from varying places around the globe. With a total of nine collaborations, Kar-Wai and Leung have certainly earned their place in this list of significant director/actor relationships. It wouldn’t be a stretch to compare these two with Scorsese and De Niro, whose working relationship has also been extensive and influential. Kar-Wai’s Chungking Express (1994)and In the Mood for Love (2000) are just two of his many celebrated films, both in his home country of Hong Kong and internationally, and both of which feature performances from Leung. His performances are nuanced and multi-faceted, which responds perfectly to Kar-Wai’s effervescent style of filmmaking.